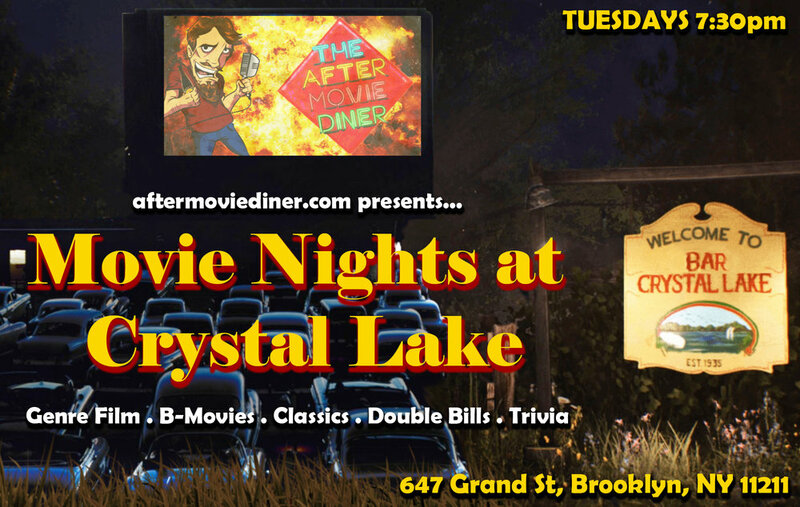 Jon Cross, host of The After Movie Diner has started movie screening events, twice a month at Crystal Lake Bar in Brooklyn. 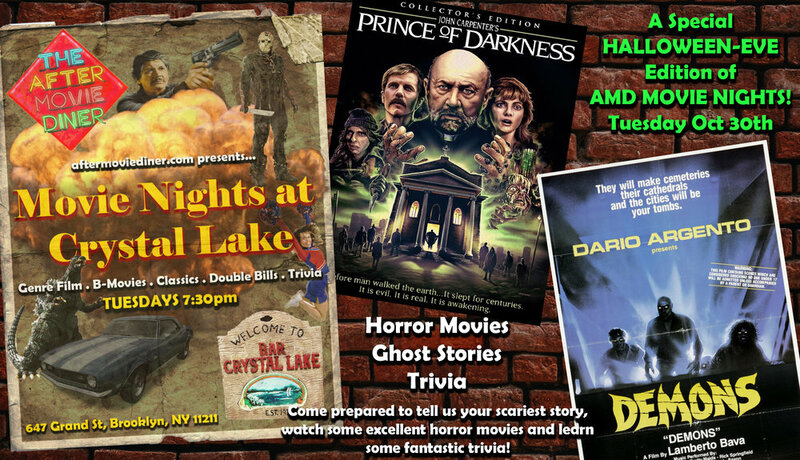 There will be a variety of events from movie double bills, movie trivia, drink a long and more! If you're in New York City, we hope you'll attend! We'll be screening John Carpenter's Prince of Darkness and Lamberto Bava's Demons! Also there'll be Costumes! Trivia! Cocktails and more! Eat popcorn, drink cocktails and watch movies - what's not to love? 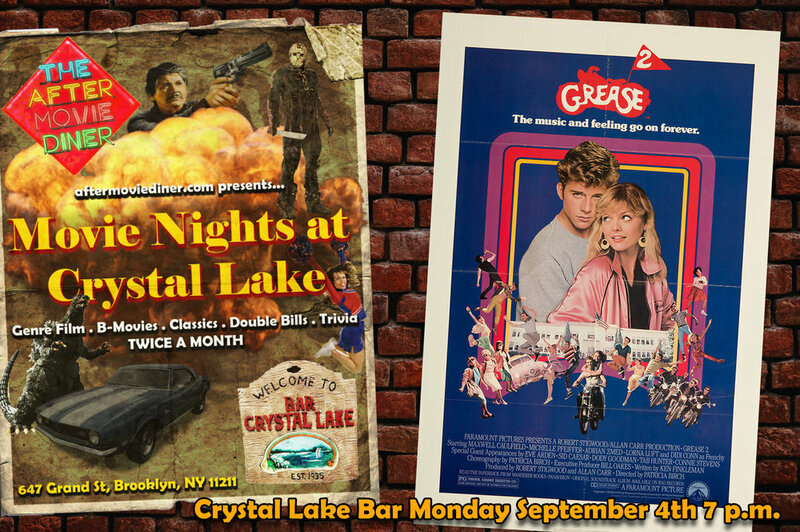 Yes, that's right, we're screening Grease 2! Come on, admit it, you know Grease 2 is the superior movie. Michelle Pfeiffer man! Come on! So come on down, do it for your country, find out where the pollen goes, sink a drink or 5 and enjoy a slice of pure 80s fun!! If you want a cool rider - we got it!! We're screening an awesome double bill of movies that define America in the 70s. Not the gritty, urban inner cities but the wide open spaces filled with fast cars, robot cowboys, freedom and paranoia. Come see Vanishing Point and Westworld! We're screening the Gary Daniels Vs Darren Shahlavi, battle of the Brit-kickers, movie Bloodmoon and the underappreciated action gem Drive starring Mark Dacascos and Kadeem Hardison. The martial arts mayhem in these 2 films has to be seen to be believed! We're screening Howard the Duck and The Punisher starring Dolph Lundgren.